Americans are living longer, staying in their careers longer, and pursuing highly active lifestyles longer than ever before. And they’re doing so in an incredibly competitive and visual environment, thanks to the rise of social media. Everything from victories on the job to skiing vacations with the grandkids are cause for a close-up on Instagram. There is tremendous pressure to look great. No wonder Americans spent a record amount of money on plastic surgery in 2017 – $17.5 billion, according to Reuters. 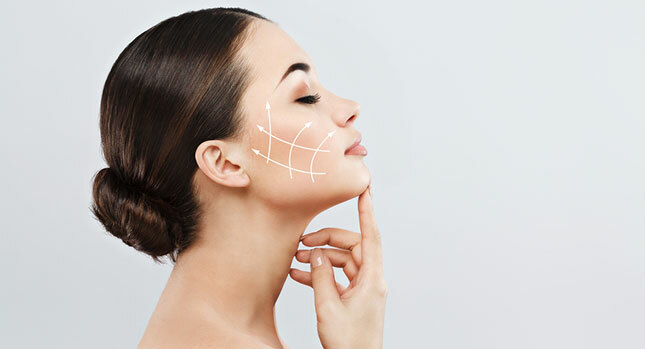 No one is more aware of the how the results of facelift treatment can change a life than a plastic surgeon practicing in southern California’s Fountain Valley. Dr. Thuan Nguyen of The Institute of Cosmetic and Reconstructive Surgery has studied and performed reconstructive surgery for years. He is committed to using his highly developed skills to enhance your natural beauty. The modern advances in facelift treatment lend themselves to the subtle re-creation of a naturally youthful look. 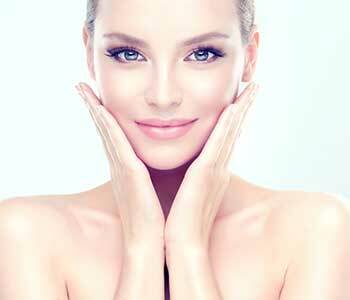 Today’s facelifts go well beyond merely tightening the skin. They can be enhanced with complementary yet less invasive procedures that reverse the effects of time. Dr. Nguyen urges you to consider the four ‘C’s’ that affect the facelift treatment results you’ll see. Choice of surgeon and facility – A facelift is a highly complex and delicate procedure. To get the best results, you need a surgeon who is artistically skilled as well as medically skilled. Look for a Board-certified plastic surgeon such as Dr. Nguyen. At your initial consultation, ask how extensive the doctor’s training is and how many facelifts he or she has performed. For example, Dr. Nguyen spent years during his early career treating burn victims and developed a passion for reconstructive surgery, extensively studying techniques. Ask to look at before and after photos of patients who have had the same procedure you want to undergo. As the surgeon talks, be aware of the level of comfort and trust you feel as you interact. Make sure the surgery facility you choose is accredited by a nationally- or state-recognized program and find out if the staff anesthetist is Board-certified as well. Take a common sense/candid approach to the procedure – It’s important to determine whether you are a good candidate for a facelift, and if you have realistic expectations about the results. While a facelift is a restorative procedure that can turn the clock back 15 years or so, don’t expect to come out of anesthesia looking like a totally different person. Understand that a facelift cannot stop the aging process, although it does make it a kinder, gentler journey. The result you should be expecting is a younger-looking, natural-looking you. If the surgery is done right, most people will notice a striking difference in your appearance, but they will not be able to say with certainty that “you’ve had work done.” You must also be candid with your surgeon. Answer questions honestly. If you have health issues like diabetes or poor health habits like smoking that can impair healing, you may not be the best candidate for a facelift. Consider complementary procedures – Plastic surgeons no longer simply make an incision, pull up the loosened skin, and stitch it tight. The deep layers of the facial muscles are lifted to recontour the face. Fat is sculpted and redistributed over places that may be sunken or need to be reshaped, such as the cheeks and chin. The skin is re-draped over these areas, with the excess trimmed away. Your surgeon may encourage you to combine an eyelid lift with your facelift. The doctor may also suggest less invasive, complementary procedures to round out your results. These could include injectable dermal fillers to add youthful plumpness to your face and reduce wrinkles, or a laser resurfacing treatment to tighten and tone your skin. Cooperate before and after the procedure – The closer you follow the doctor’s orders, the better the results. As mentioned before, be sure to answer your surgeon’s questions about your health truthfully and be prepared to make some lifestyle changes if need be. After surgery, you can help keep your face looking young for another 15 years by applying sunscreen; committing to the skin care regimen recommended by your doctor; eating a healthy diet; and maintaining a consistent weight to prevent stretching of facial skin. The bruising and swelling from surgery may last for two weeks or so, and it could be a few months before your face feels completely normal. But when you see your rejuvenated countenance in that mirror, you’ll discover the fifth and sixth “C” of facelift treatment – that your confidence and charisma have been restored, too. Call Dr. Nguyen today at (714) 421-4022 to schedule a consultation. Let him restore your natural beauty and your self-confidence. See what a facelift can do for you!